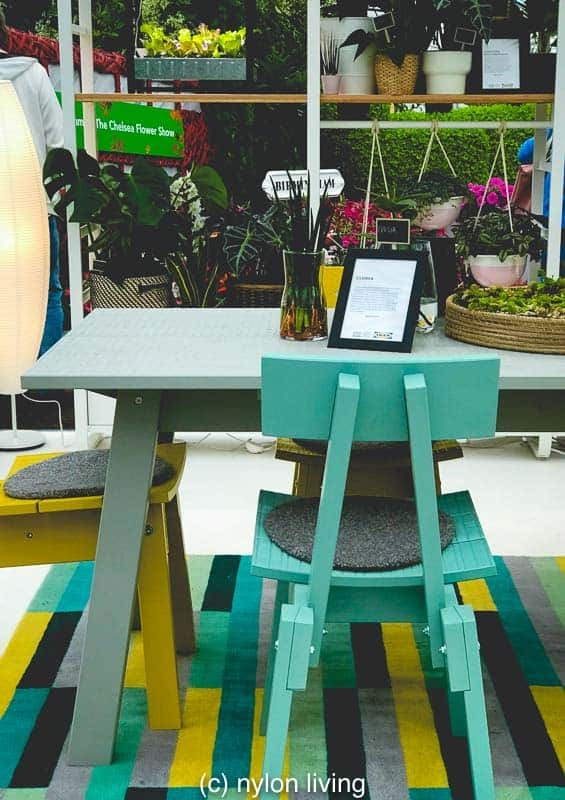 The RHS Chelsea flower show is not where you would expect interiors giant Ikea to show up. 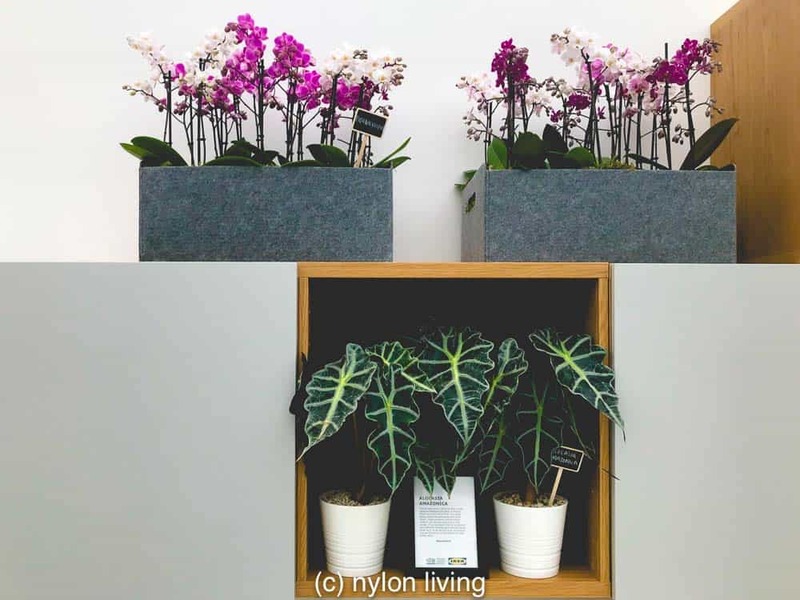 Yet, for the second year in a row Ikea have teamed up with Indoor Garden Design, experts in greening up commercial spaces. 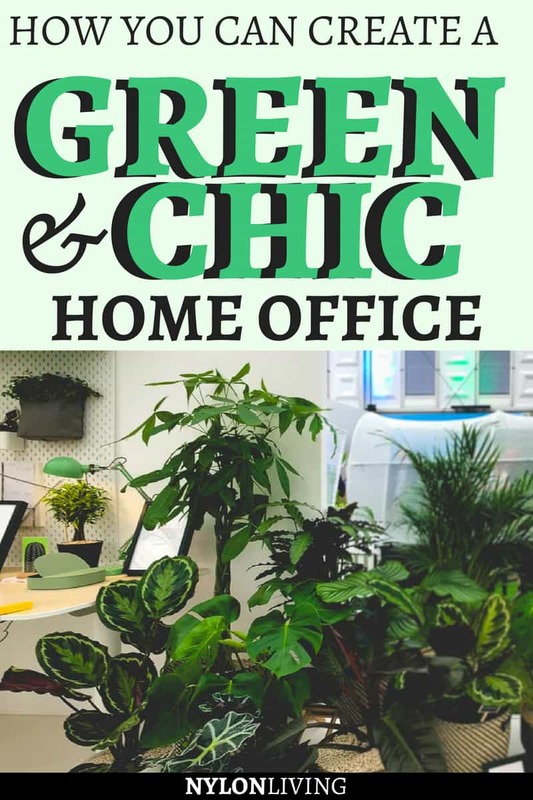 Their exhibit showed off creative home office ideas that highlight the aesthetic and practical benefits of having plants in your home office space. With stylish pots and stands, jazzing up office decor on a budget has never been simpler or easier. I am a big believer in having a designated home workspace whether it is for work outside the home or or for paying your bills. Having one space where all the clutter is contained keeps it from invading the rest of your home. 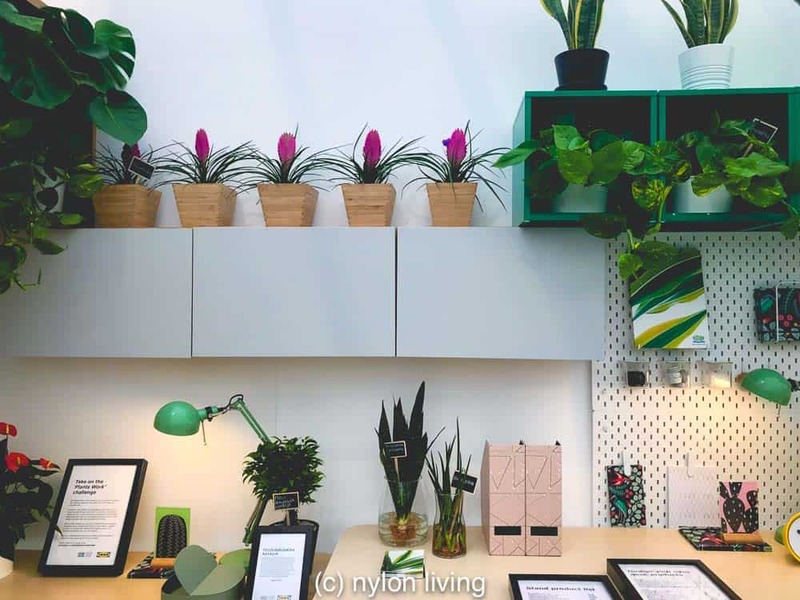 Shall we look at some creative home office ideas inspired by Ikea’s plants department? Ikea’s desk and pegboards are cheap and cheerful. They look super stylish though when jazzed up with plants in pots. This pair of desks shows you how a co-working space can be harmoniously unified with the use of plants. Note the use of closed units from the Besta range together with open cube shelves. A double desk space that incorporates greenery. Fill an open cubby with plants instead of the usual folders or books! A colorful table and chairs combination makes a handy place to meet with other team members or clients. Warm up a meeting space with a plant (or two). You can, however, save a fortune on changing floral displays if you create a long-lasting yet chic plant display for a centrepiece. A plant centrepiece for the office meeting table. What are your options for plants from Ikea? I was pleasantly surprised by both the quality and the price. 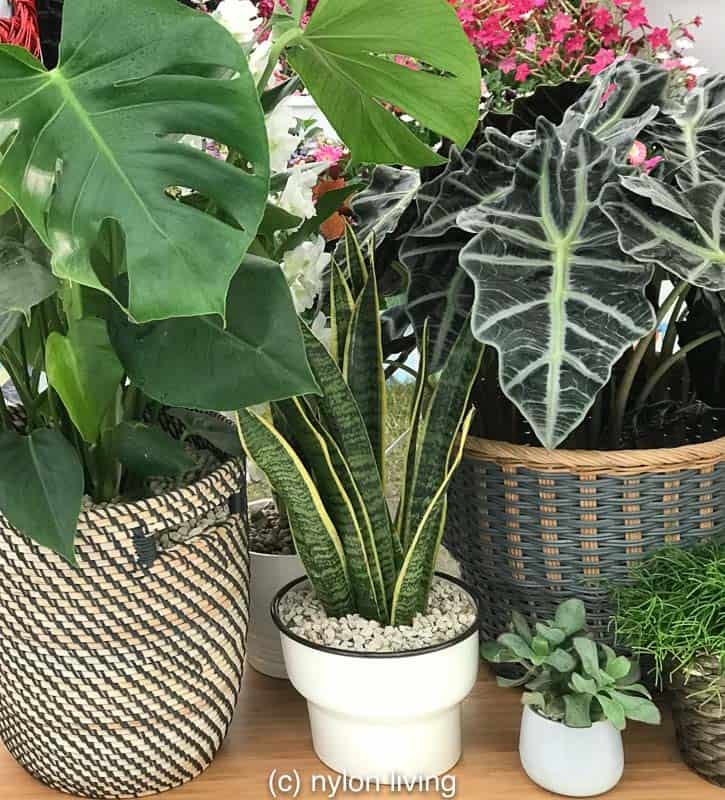 As mentioned previously when we discussed the health benefits of keeping plants in the bedroom, plants like Aloe Vera and Snake Plant are excellent for air purification. You can get them both at Ikea at great prices (£3-7) as well as the ever trendy ficus plants and monstera plants. 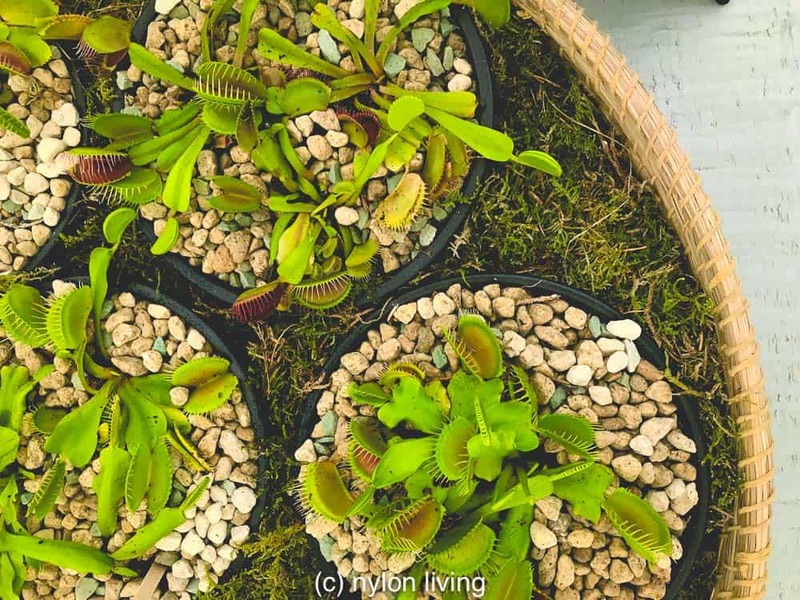 Plant baskets add modern chic and texture to these plant pots. Ikea also has a great range of cheap succulents and cactii. Did you know that Ikea sells succulents? Accessories like plant pots and plant stands create an inviting and polished environment. 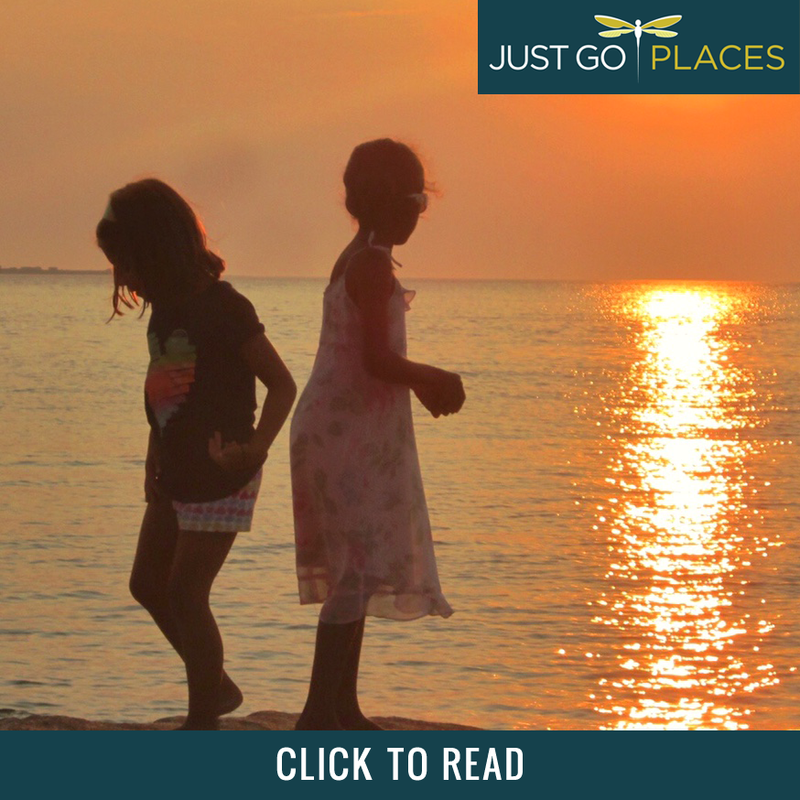 You wouldn’t guess this is office decor on a budget! 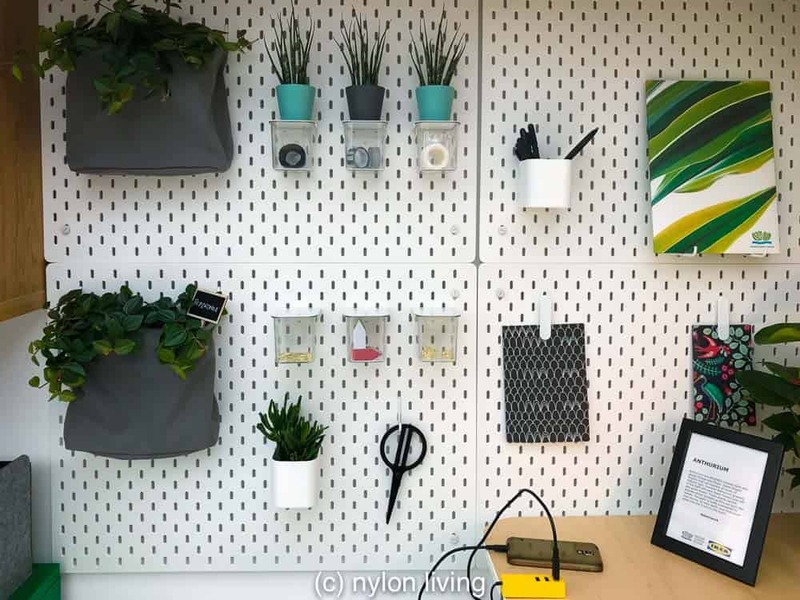 So, here are some of the Ikea products used in this display of office decor on a budget. 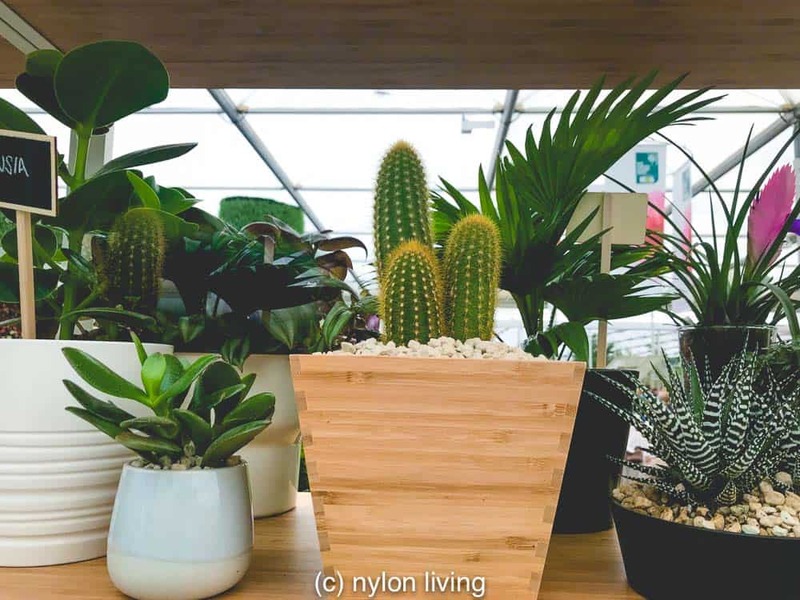 Obviously the furniture is the most expensive but the actual plants and pots are cheaper than you can find at most garden centers. This Satsumas plant holder not only makes the cut for the top 12 items from Ikea for shelter mag House Beautiful but also is listed among the best plant stands by Apartment Therapy. 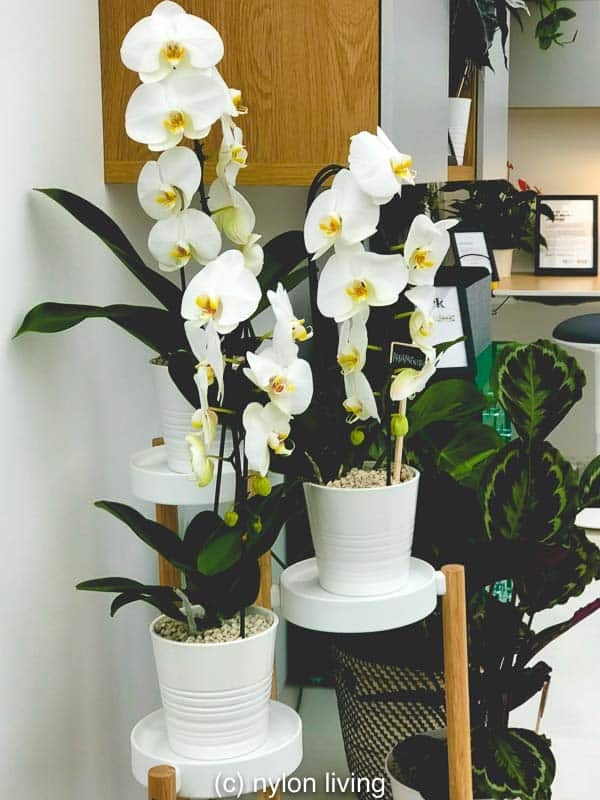 An Ikea plant stand displays orchids. My own home office is from Ikea. I love the combination of desktops I can make together with the storage options. I find the Ikea office options super versatile but I can see where I need to liven it up with some plants and accessories!